SEMCO’s Natural Shield is an exceptional waterproofing sealer that excels under the most demanding circumstances. Natural Shield’s low molecular weight allows for excellent penetration. Natural Shield fills into the pores of the substrate, in which chemical reaction follows, that creates a solid, but breathable membrane. Natural Shield provides long lasting protection for a vast array of surfaces in which it leaves a natural finish. 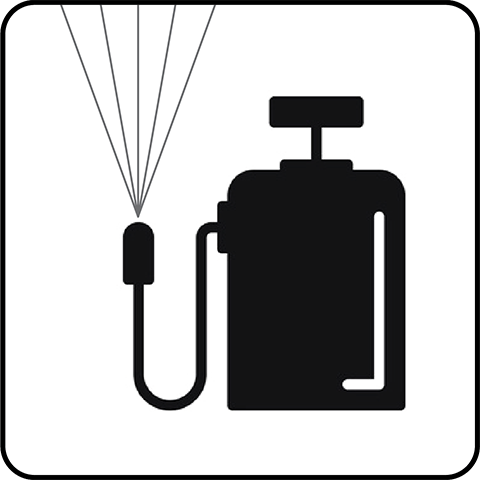 It has durability and performance of a solvent-based system, but with the easy application and clean-up of water-based products. Natural Shield’s performance allows to be used in commercial areas to protect your surface and decrease maintenance efforts. 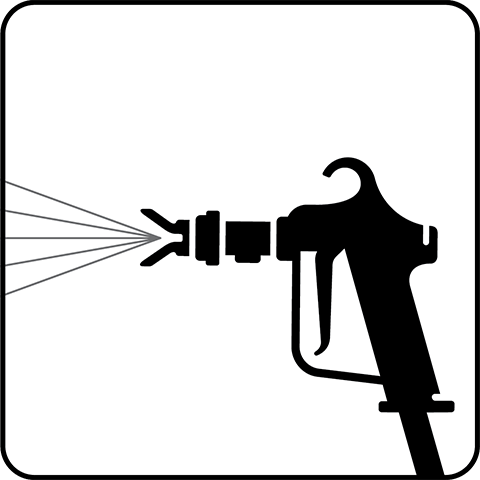 Get the durability and performance of a solvent-based system, but with the easy application and clean-up of water-based products. Natural Shield’s performance allows to be used in commercial areas to protect your surface and decrease maintenance efforts. 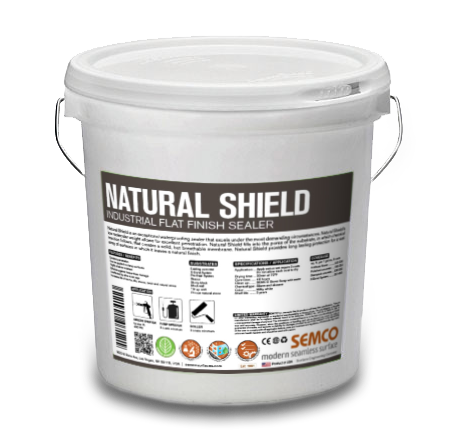 Excellent chemical resistance and industrial strength finish allow Natural Shield to be used in an industrial environment. Natural Shield is UV-resistant sealer and can be applied to multiple surfaces to give extra protection. Highly alkali resistant and effective against freeze-thaw damage. Natural Shield’s performance allows to be used in commercial areas to protect your surface and decrease maintenance efforts. 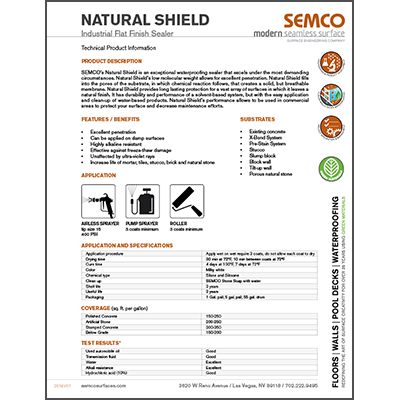 Excellent chemical resistance and industrial strength finish allow Natural Shield to be used in an industrial environment. With its low water permeability, Natural Shield can be used in showers. 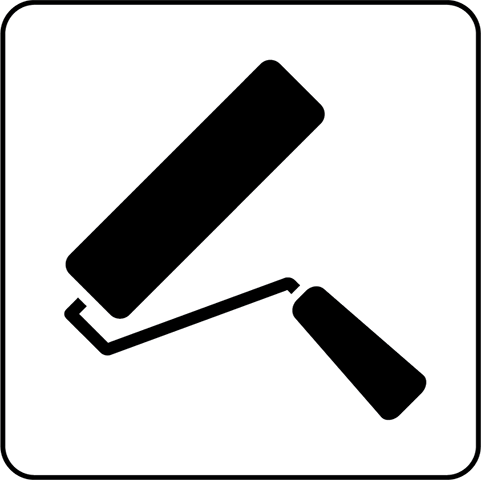 Protects your investment, increases life of mortar, tiles, stucco, brick and natural stone surfaces. Apply at temperatures from 50°F to 90°F.